1. Spring in Alabama is glorious. The colors are almost false. But memory serves and the blooming brilliance rings true. And then the mercy of dusk when the cut sweet smell of grass dances with the wild onion and you wonder if the moment will ever come again. 2. There are a number of pastors you can hear from on social media and they do not sound like the gospel is good news in any shape, form, or fashion. 3. Who wants to start a business where we are not staring at screens all day? 4. The remarkable thing about listening to Jason Isbell live is he sounds the same, only better. 5. Once again I’ve heard from a man leaving the pastorate. As one who left also, I understand. But I also want to communicate how much I’d like to return. How much I miss. And how I feel like a square peg being pushed through round pin holes. 6. The great thing about buying albums on eBay is that you have to wait at least a week for it to come in a world where everything is instantaneous. 7. If you could pray for my fantasy baseball team. I have some hard decisions to make about who to start in the outfield. 8. I understand people’s need to make Easter something to be happy about. The day of the year. But happy doesn’t cut it. There a 364 days in the year when the good news of the resurrection is necessary information to be reminded of. 9. Bethany by the window in the early morning light. 10. The week after Easter I’ll start teaching a Sunday School geared toward young familes. I cannot stop thinking about it. Every event, every song, every word read seems relevant, useful, spoils in the war east of Eden. 1. The significance of Jesus’ preference for keeping company with those on the margins is grasped only when you realize they would look for hope and be exhausted by the search. 2. On this day in 1962, Dylan released his first album for Columbia records. It only sold 5,000 copies in the first year and never charted in the U.S. But it moves me every time I listen to it. 3. 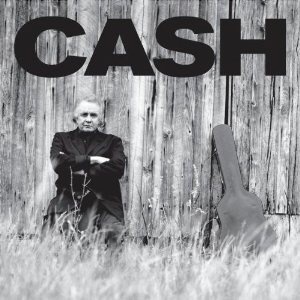 Last night I finished a great book about Cash’s At Folsom album. As soon as I put it down, I picked up Willie Nelson’s recent Autobiography and put it down after three pages because it was already doing two things I can’t enjoy. The first is needless and constant foul language that sounds like a frat boy trying to impress his “brothers.” The second is political discussion without nuance. So, moving on. 4. My wife made bread this week that I’m now angling to eat at every meal. 5. If you are on Twitter for any length of time, you will catch sight of anonymous accounts. These are people who usually for humor hide behind an account. Often these accounts are used to make fun of famous people. And there are many that take aim at famous pastors and Christian writers. I used to follow some of these because they are actually funny. But I’ve rethought this and think it’s out of step with Jesus and his gospel. There are good reasons to criticize many of the famous pastors of our day. I’m pretty sure anonymous ridicule is not the way, though. 6. “Wedding Bells” by Hank Williams is the saddest song I know. 7. I guess if failure is what it takes to see the grace of the King, then we should not be afraid of it. 8. There is nothing in the NT that justifies a Christian’s fear of a political candidate. The opposite is true. 9. My daughter had been gone on a trip for 3 days and I miss her terribly. 10. I have a very simple test when I listen to music. “Can I sit out in my yard and listen to this as dusk gives way to the star-strewn night? Will it satisfy in that moment?” If I can’t imagine that, it’s not going to hold my attention very long. I know the songs won’t be something I look forward to after a long day. This week two friends of mine released an album of the most heartbreakingly beautiful, high and lonesome music. It’s the kind of music I’d be evangelizing about even if I didn’t know Corey and Ashley. In The Meantime is a live studio EP with no frills. You can hear the sounds of the room putting you in the space itself. Corey’s playing, singing, and songwriting reminds me of the best of Texas country. I compare all country to Townes Van Zandt and if sits well alongside him, then it’s the real thing. Corey’s songs are that good. Ashley’s voice rivals Alison Krauss. I don’t have a better compliment because Ashley’s voice may be the best I’ve ever heard. And the band playing behind is perfectly sparse for these songs, giving a chance for each player to shine in the dark corners of the songs. I listen to a lot of country and americana music and this short album of six songs is now among my favorites. You can download it here. 1. If this weather is the result of global warming, I love global warming. 2. This past Monday I watched a baseball game while eating hot dogs and it was perfect. 3. I am glad to be unnerved by the Scriptures. If they were never unnerving, they could not be the Word of God. The Scriptures are certainly more than unnerving, but they are not less. 4. Hope is exhausting but it is never foolish. 5. I should publicly admit how wrong I was about the ballpark. It’s true there are parents who take it too seriously, but I love the friendships that are developing with other families. No agendas, just enjoying being together. 6. I know you won’t believe me but free-range peeps actually taste better. 7. Yesterday one friend had an all clear on cancer and another had a pacemaker put in. Both my age. Both pastors. Both, the kind of men you look up to. 8. Putting a record on the turntable for the first time never gets old. I wish I could get paid to do that. 9. My daughter got a new Language Arts teacher yesterday, who just happens to be our next door neighbor. 1. Yesterday it dawned on me that if grace is true, then God is not ashamed of his children when they sin. And if he isn’t ashamed of them when they sin, then he is not ashamed when they express their faith in hackneyed ways. He’s not snobbish. And if he’s not ashamed, then neither is Jesus. He is never ashamed to be associated with us. This means I shouldn’t be ashamed of my brothers and sisters in Christ. Ever. 2. The true scandal of this election is not that some people would vote for a particular candidate, it’s how the church talks about the candidates and others that is the true scandal. If Schaeffer is right and our distinguishing mark is our love, then we should be distinguished by that in the way we discuss politics. Pretty sure that’s not happening. 3. Cash is my favorite Christian artist right now. I bought his Unchained record and cannot stop listening to it. All day at work. At home. In the car. It’s mesmerizing. Otherworldly. And yet at home. 4. The sound of a baseball game, a needle on a record, bacon cooking. 5. All of Paul’s letters seem to have at their core, the desire for the reader to understand the good news of God’s grace for sinners. That seems like a viable pastoral ambition. 6. An old man was stuck in a dark hole with little light. He prayed to be set free. He was finally set free. One day he looked around and saw he was in a hole deeper than the one he was in before. He now prays for contentment. 7. Those who follow Jesus are part of a Kingdom that cannot be shaken. 8. It is hard to hear of pastors leaving the ministry when I miss it so much. 9. Imagine an assembly line. Now imagine that on the line are items with a problem to be fixed. Now imagine no problem is the same. Now imagine no item is the same. Now imagine each one is brought to you by a different person with different personalities and backgrounds and needs. 10. Most every morning I sit at my desk and miss Bethany within the first hour.